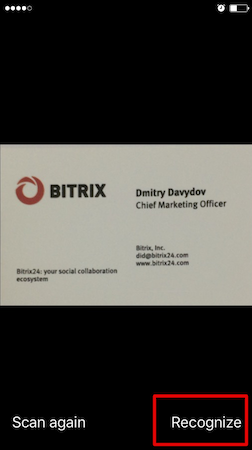 We are happy to announce that new Bitrix24 mobile app for iOS and Android now comes with a business card scanner. 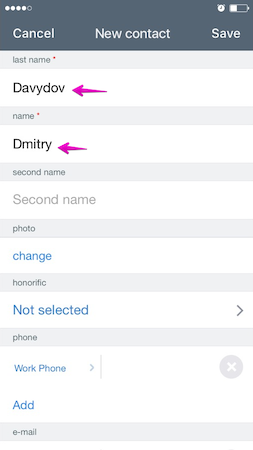 You may need to update your mobile app before you are able to use this feature. 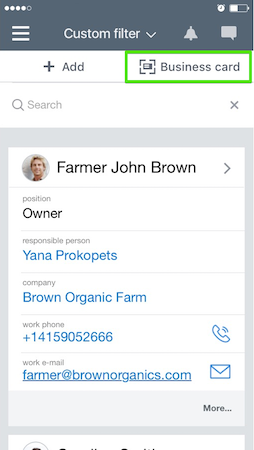 To scan a card, go to Contacts inside CRM and click ‘Business Card’ in the upper right corner. Scan the card with your phone camera. After you take a picture of the card, all contact information will be processed and saved to Contact. You’ll have a chance to review if all information from the card has been recognized correctly before saving. This option is available inside ALL Bitrix24 cloud plans, including the free one, which is limited to 12 card scans total. Need more? As usual, our top plan Bitrix24 Professional comes with everything unlimited, including card scans. 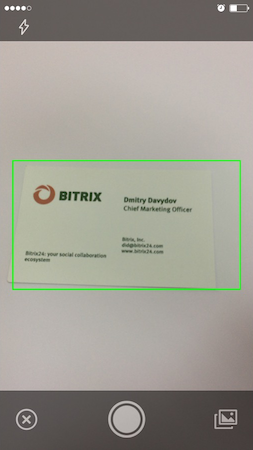 If your users need up to 50 scans a month, select Bitrix24 Standard. If your requirements are lower, Bitrix24 Plus, which comes with 24 scans a month limit, is a good choice for you. Stay tuned as we are planning to unroll a lot of new CRM features in the coming months.